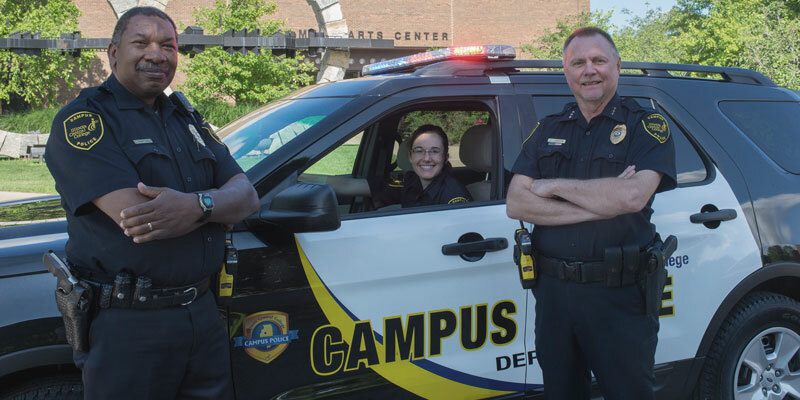 The mission of the officers and employees of the ICC Campus Police Department is to provide a safe and secure learning and work environment for our students, staff, faculty, and visitors. To connect quickly to ICC Campus Police, download the ICC RAVE Guardian app from the App Store or Google Play. Direct connection to the Police Emergency Dispatcher. Text with ICC Police–submit crime tips and photos. Access the ICC phone directory and website links. The app works best if you enable Location Services when prompted. Sworn Illinois Central College Campus Police Officers are armed and have the same authority as County and Municipal Police Officers, including the power to make arrests and issue citations. Non-sworn Campus Security Officers have Use of Force and Arrest powers as authorized in state Statutes 725 IFCS 5/107-3, 720 ILCS 5/7-1 and 5/7-3. Please look over and be familiar with the ICC Emergency Response Guide. ICC’s Clery Report (in compliance with the Federal Jeanne Clery Disclosure of Campus Security Policy and Campus Crime Statistics Act of 1998 and the Higher Education Opportunity Act of 2008) is available for download below.